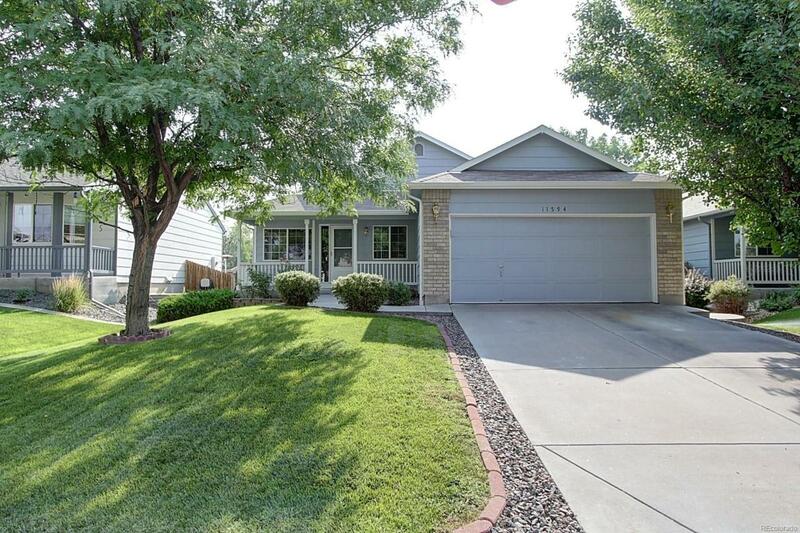 Fabulous single-family, ranch-style home with finished basement in quiet, established neighborhood! Covered front porch welcomes you to your 3 bedroom, 2 bathroom forever home! Open layout with vaulted ceilings: Living Room, Dining Room, casual dining off the Kitchen, and Kitchen. Kitchen features stainless-steel appliances and large center island with additional seating x4. Main-floor Master features a private 5-piece bathroom with walk-in closet. Finished basement is set up for your entertaining needs! With a Family Room, and Rec Room (pool table included!). Rec Room is wired for surround sound and has a wet bar! Back yard is perfect for kids and pets to run and play while you relax! Walk to school and River Run Play Park with volley ball! Call now to schedule your personal showing!